There are a number of state and federal requirements before a person can apply for a Commercial Driver’s License, also known as a CDL in Oklahoma. One must have a CDL to drive a vehicle that weights more than 26,001 pounds, with a purpose to transport more than 16 persons, which carries hazardous materials, or vehicles that require toxic materials. Those who want to operate commercial vehicles in the state must be 18 years old, or 21 to drive interstate (which is driving outside of Oklahoma). There are many schools which can help you prepare for the knowledge and driving exams. They will provide time behind the wheel and some will provide you with job placement services upon completion. Arbuckle Truck Driving School, Inc. 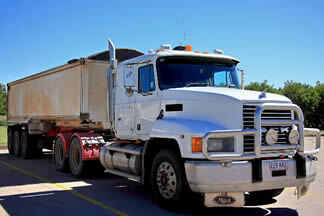 Drivers who wish to drive within Oklahoma can apply for a CDL once they receive 18 years old. If you plan to drive interstate, then you must be at least 21 years of age. Both new and renewing CDL applicants must undergo a physical exam conducted by a DOT medical examiner. A medical certificate will be issued upon passing the physical exam. All applicants must provide a form of identification that clearly shows the applicant’s name and date of birth. Examples of acceptable IDs include a passport, birth certificate, driver’s license from another state, or Military ID. Additional documents will be required in the event that the applicant changed his/her name. After meeting the requirements and submitting the completed application form, the next step is to schedule for the written exams. Applicants must pass the vision test before they can take the written knowledge exam. Reading the CDL manual, which can be downloaded from the Department of Safety’s website, will help applicants prepare for the written exam. Additional tests will be given for each endorsement to drive a specialized vehicle. If you pass the written exam, you will be given a Learner’s Permit. Use this permit to practice driving a truck while under the supervision of a registered driver. Schedule your road test when you feel that you are ready to take it. You must schedule your test while your permit is still valid. 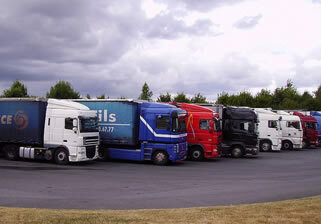 The road test will consist of a pre-trip inspection, basic driving skills, and on-road testing. The DP will issue your CDL within a few days after passing all three parts. If you want to submit a CDL training school to this list you can do so through the contact form located here. To be considered for inclusion on this page business listings must have the name of the company, address and phone number. To get a commercial driver’s license in Oklahoma, you would need to pass several tests first and to submit some requirements. The US government had issued newer restrictions in acquiring a CDL in order to provide stricter security measures and to ensure a safer road for truck driving. One would have to comply with these new rules in order to get the license. You can get additional information by visiting a local driver licensing office in your area. The first thing that you would need in order to get a commercial driver’s license in Oklahoma is the minimum age which is allowed – 18 for intrastate truck driving and 21 for interstate. This applies to all of the classes of CDL which are provided in the state. Aside from this, you will also need to provide a current driver’s license which has not been suspended or revoked for any reason at all. You should not have been involved in any serious traffic violation or have committed any serious crime in the past which can affect your application. After this, you should visit your local driver licensing office and secure a copy of the Oklahoma CDL Manual which contains almost everything that you need to know about truck driving. The manual contains information about truck parts and maintenance, road signs, truck driving, and road test which means that you should definitely be ready for the test when it comes as everything has been provided for. Once you are finished studying the manual, you can now visit your DPS office to request an application form. You will need to fill out the form and undergo a visual exam before you can be allowed to take the written test. You must pass the visual exam with a visual acuity of 20/40 and a visual range of 140 degrees on both eyes. You will also need to submit your DOT medical certification, proof of identification such as a passport or a birth certificate, Social Security number, proof of residence, etc. After this, you will be given a written test which will provide you with a learner’s permit if you should pass it. The learner’s permit is valid for 6 months and you must do everything to learn about actual truck driving within this period. You must always be accommodated by a licensed individual while you are driving or your license will be forfeited and you may not be able to get a new one within a period of two years. Once you feel that you are ready to take the road test, you may then schedule for the test by visiting your local DPS office. The road test includes three different aspects which you must pass – the pre-trip inspection, basic driving skills, and road test where you will be driving in actual traffic situations. If you pass this test, you will then be given a commercial driver’s license in Oklahoma after paying the corresponding license fees to your local driver’s licensing office. On this page you can find the latest truck driving schools in OK that will help you learn to drive a semi truck. Below are links to the state’s department of vehicle safety and their CDL manual. 728 East I-240 Service Rd.